Academic Studies and Events Section: This section compiles and translates the scientific studies concerned with Arab Islamic heritage, with all its different manifestations and links to other ancient civilizations. The section also organizes and supervises all the scientific and academic events held by the Center, such as specialized training courses, scientific conferences, and seminars. 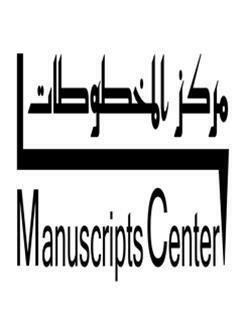 Cataloging and Verification Unit: It includes a group of expert researchers in indexing Arab and Islamic manuscripts. These experts have indexed complete manuscript collections, such as the Escorial Manuscript Collection in Spain. International academic institutions, such as the British Wellcome Trust Foundation, have also asked for their assistance in indexing their own manuscript collections. Original Manuscripts Section: The section contains a diverse collection of original manuscripts, most important of which is the Alexandria Municipal Library manuscripts, in addition to the donated collections: Sheikh al-Hosary’s manuscripts, the manuscripts of the Holy Quran Memorization Society in Damanhur, the Malta Library illustrated manuscripts, and several manuscripts donated by individuals. The section includes a reading area containing printed heritage resources needed by students and researchers in different heritage-related fields of study or profession.